Lifesaver in case you lose your phone or, even worse, it gets stolen. But many people might only realize that there are such apps AFTER it got lost or stolen. Then, it usually is too late and you have to face the ugly truth that the phone is gone for good. If your device got lost or stolen, I hope this article and Android Lost are able to help you getting it back! The remote installation process of Android Lost is very straightforward and only requires that your phone is connected with your Google account. In case of theft, you have to hope that the thief doesn’t disconnect your account. 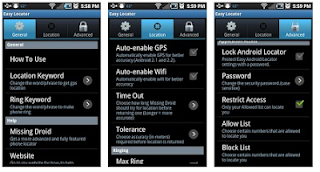 Download the Android Lost app from Google Play and it will be installed on your phone remotely. If you are still in the possession of your smartphone or tablet then all you need to do is starting the app. To remotely register your device, in case it’s lost, send an SMS with the text “androidlost register” to your phone. If you own a tablet, SMS might not be an option. In that case, install “AndroidLost Jumpstart” before you install the actual Android Lost app. 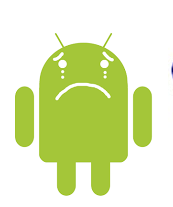 It will jump start the registration process when Android Lost is being installed.